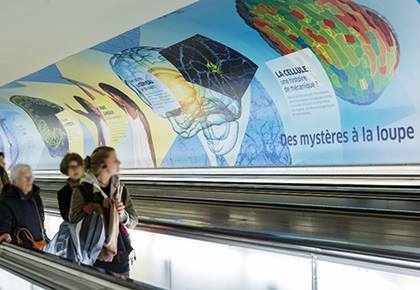 From November 2017 to March 2018, the CNRS exhibited an amazing fresco of 134 metres long on the most surprising living discoveries of the last 15 years along the corridor of the Montparnasse-Bienvenüe subwway station in Paris. A picture of an hippocampal neuron from the NeuroCyto team was featured to illustrate the neurosciences. More here (in French).